SunTek server hosting service offers custom dedicated servers, internet connection, network systems integration and all other features you require. Unlike shared hosting service, you lease an entire server and have full control over it in our dedicated hosting service. All essential equipment will be provided. The service includes a dedicated server, operating system, private switch, managed firewall and backup storage. Servers are remotely manageable. And technical support from IDC is available as and when needed. We offer RPS (Redundant Power Supply), UPS (Uninterruptible Power Supply), thermo-hygrostat system and physical security to optimize your server environment. You can include your choice of server management services such as backup and restoration, DNS management, website performance monitoring to implement your best-fit environment. We are located at an IXP (Internet Exchange Point) between the largest internet providers, and our server directly connected to backbone allows faster internet service and minimizes issues arising. Our engineers monitor system 24/7 and provide immediate technical support when it’s needed. ♦ If you want to save money on server construction/integration. ♦ If your website is in need of more detailed management and operation, not only provided web hosting services. ♦ If you require larger bandwidth to extend your service to include web hosting, search engine, or online broadcasting. ♦ If you are thinking of starting an e-commerce business or expanding one you already have. ♦ If your app provides groupware or ERP. 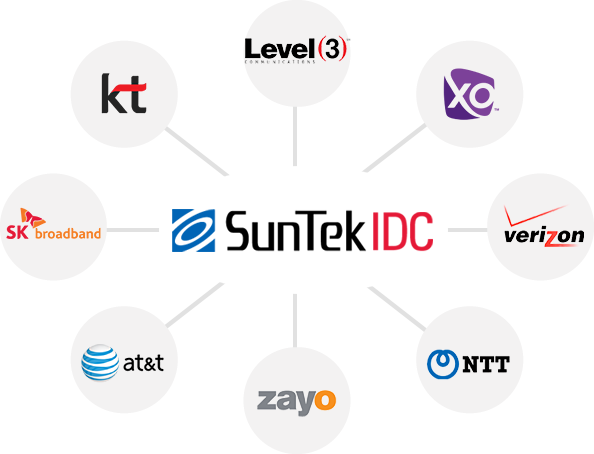 ♦ If you need network integration in US branch. 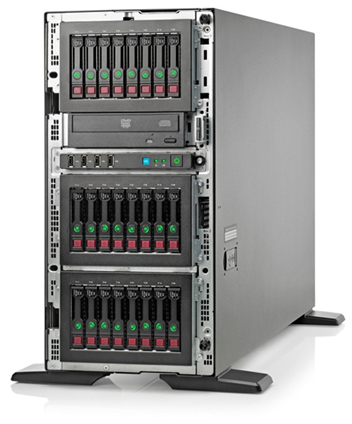 ♦ Our data center allows you to have your best-fit server environment. ♦ We provide broadband connections in the United States. ♦ You will enjoy the benefits of server directly connected to the internet backbone such as faster internet service. ♦ We give you wider options of servers and provide services very competitive in quality and price. ♦ As customer service, we provide various services and solutions to solve the problems that rise in the future. Managed colocation service is a service which locates your server within SunTek’s IDC where equipment, bandwidth, management are provided. Our colocation facility provides stable power, thermo-hygrostat system, and physical security for the server, storage, and networking equipment with a minimum cost and complexity. Your server will be directly connected to the internet backbone. And it allows faster internet service and minimizes issues arising. Your equipment will be under management of skilled engineers. SunTek’s 10+ years of experience shines the brightest in reliability and efficiency in service. Tri-lock security system allows only authorized personnel’s access. to provision or deploy its own resources or allocate IT staff to manage the service. These features let users have less cost and more efficiency to use servers. Only minimal expense on anticipating traffic is necessary. Expand and Adjust accordingly later. Tri-redundant cloud system minimizes mechanical problems arising. Initial installation, restoration and environment setup require a short time. Tri-redundant internet connections and automatic internet line switching system minimize internet connection problems arising. Easily able to expand processors, memories, disks, connections as and when needed. Our system engineer will be available 24/7. Only minimal starting expense is necessary. It’s pay as you go (monthly fee). hardware and software, or training employees on new infrastructure monitoring tools. you can focus more on strategic initiatives and save money. You can leave your burden of managing infrastructures to SunTek and have efficiency coming from division of labor. System engineers will be assigned and give you detailed management over your server. Exploit state-of-the-art technologies we provide and stay updated with the latest ones in the fast-paced industry. This will lead you to business efficiency and higher profits. Your assigned system engineer will be monitoring your server every minute, and give immediate technical support as and when needed. You are free from all additional work required to hire and manage employees to take care of infrastructures. Automatic backups with your choice of backup frequency allow data restoration when it’s needed. Reduction in cost. Easier analysis on spending. Monthly report and consulting is provided for your server performance. ♦ If you want a 24/7/365 service for your server. ♦ If you require system level outsourcing to focus on service improvement. ♦ If you want your service to stay in the lead in the latest IT trends. Quick Troubleshooting and On-hands Customer Support. First and leading in IDC industry in Korea, we are experienced. With our own IMS, extremely cost-effective operation and management system is possible. Agile system operated by experts in our team. Provides equipment replacement, troubleshooting, diagnosis, regular maintenance. Supports stable and reliable operation of various IT systems such as H/W platform, DB, commercial S/W, and application.. If you suffer from extra work created by separate maintenance services from many companies. If you spend more than $5,000 a year and want to save money on maintenance. Manage your system with an organized and efficient one-step system.